Ingham Chicken Tenders are a versatile product available in 4 different flavours: Southern Style, Classic Crumbed, Sweet Chilli and Salt & Vinegar. Made from 100% Australian chicken and consistently sized, Ingham Chicken Tenders can be served in a sandwich, wrap or roll, on their own with or without a dipping sauce, or centre of plate with chips and salad – making them suitable for pubs, clubs, bistros, takeaways, cafés and school canteens alike. 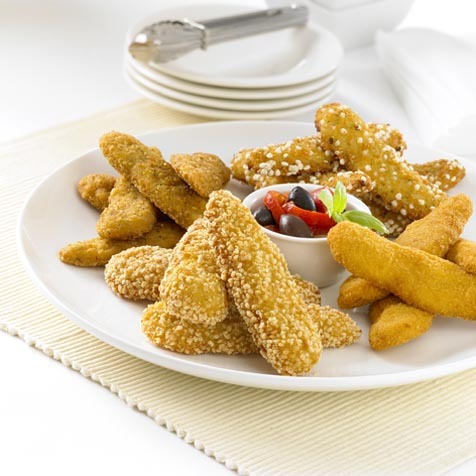 Ingham Chicken Tenders are individually quick frozen in 1kg bags for portion controlled convenience.